The ab initio calculations of the structural phase stability, magnetic phase stability, and electronic and magnetic properties of the FmP binary monopnictides and the half-metallic ferromagnetic properties of their Fm1−xVxP (for x = 0.25, 0.50, 0.75, and 1)-doped alloys have been assured through the spin-polarized density functional theory (DFT), and they are performed by employing the full-potential linearized augmented plane waves plus local orbitals (FP-L/APW + lo) method that is implemented in the WIEN2k package. The exchange and correlation potential is parameterized by the generated gradient approximation (GGA) of Perdew-Burke-Ernzerhof (PBE) scheme. According to the studies of the magnetic phase stability, the fermium monopnictides (FmP) have a paramagnetic regime, while the ferromagnetic behavior appears when we dope this compound with vanadium. 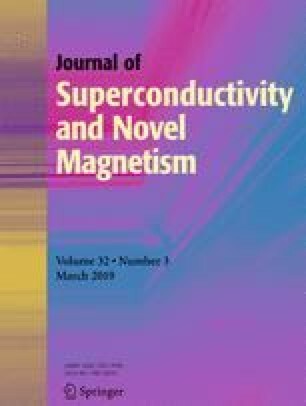 Through the ferromagnetic character of all Fm1−xVxP alloys, the spin-polarized band structures and densities of states exhibit a nearly half-metallic character of Fm0.75V0.25P alloy, whereas Fm0.50V0.50P, Fm0.25V0.75P, and VP compounds showed metallic character. Moreover, the total magnetic moment of the three ternary alloys is mainly contributed by Fm and V elements, where the p-d hybridization reduces the atomic magnetic moment of V element from its free space charge and produces feeble magnetic moments on the nonmagnetic P sites. The author Mohammed El Amine Monir acknowledges the help of Professor Hadj Baltach from the Mustapha Stambouli University of Mascara, Algeria. This work is supported by the Mustapha Stambouli University of Mascara, Algeria.